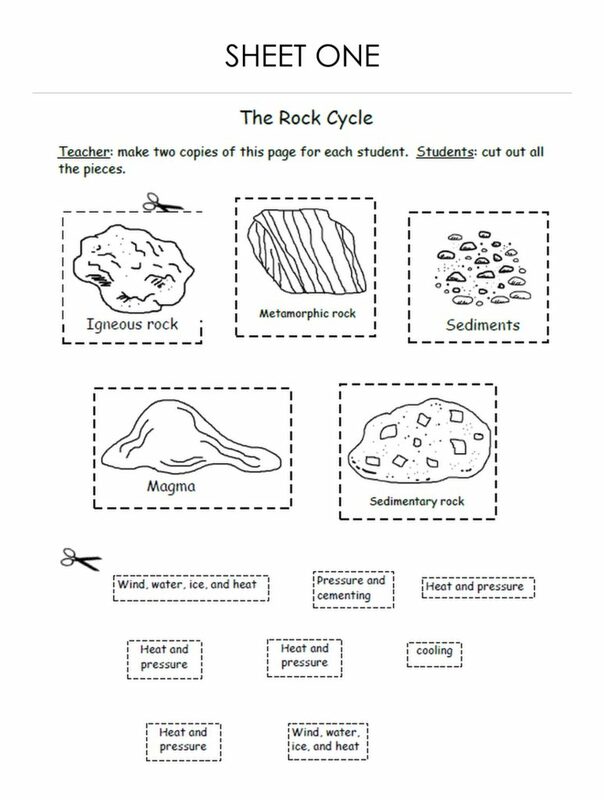 The Rock Cycle cut and paste project in this lesson comes from this workbook. It also includes work pages on rock collecting. Let’s say the goal of your next science lesson is to guide your students to where they can show you, through a demonstration, that they understand what you’ve just taught them. They’ll do this by estimating, comparing, and successfully completing the three cut-and-paste rock cycle project sheets. Teaching Objective One: Attention Grabber: Attract your students’ attention by leading off with a short (2-3 minute) anecdote, perhaps a personal story from your youth about a time when you went rock hunting or maybe a recent story in the news about rocks. This anecdote is meant to focus your students’ attention on you and what you’re going to say next. 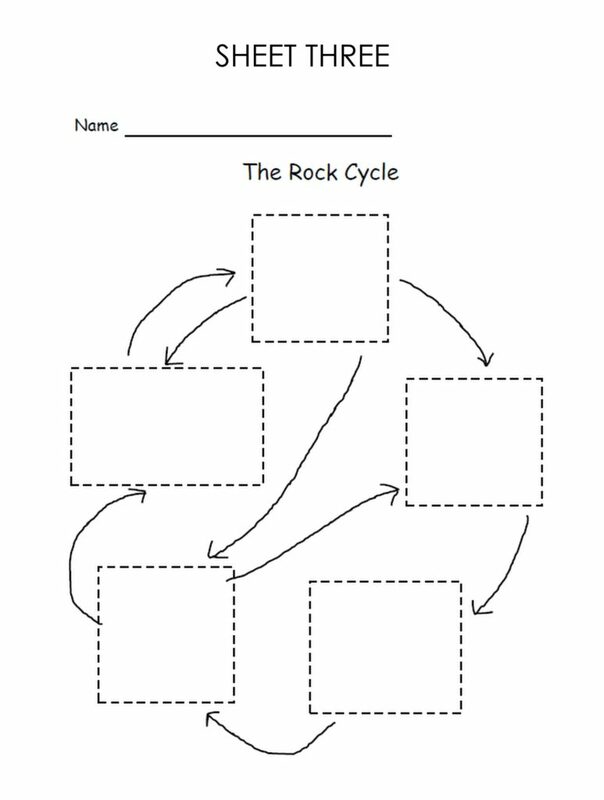 Teaching Objective Two: State your Goal: Explain that the students are going to learn about the rock cycle. Teaching Objective Four: Demonstrate: Show your students real examples of igneous rocks (pumice), sedimentary rocks (coal, sandstone), metamorphic rocks (slate), and sediments (sand). Pass around several examples of each rock so students can look at them closely and feel the difference of each rock. Finally, show the class finished project sheets of what is expected of them. Explain the steps involved: including cutting and pasting. Teaching Objective Five: Assisted Child: Help the students successfully show you that they understand the concepts by cutting sheet one and pasting correctly onto sheet two themselves. Walk around the room to check for understanding. Teaching Objective Six: Independent Child: Next, hand out a second copy of page one to each child and a copy of sheet three. 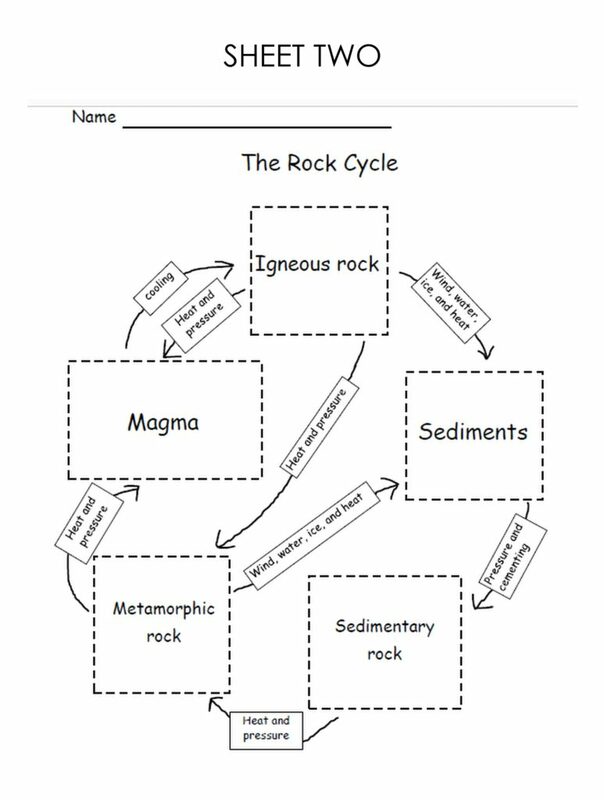 Lead your students into a situation where they successfully show you that they understand the concept of the Rock Cycle by cutting and pasting onto sheet three. That’s your goal – to teach so your children can demonstrate to you that they understand the concept. Teaching Objective Seven: Wrap-Up: Review with the class what they’ve done. Ask them to recap what they just learned to make sure they understood the concept. The students’ objective – called the learning objective – is the hoped-for result of any lesson’s learning activities. Learning Activity One: KNOWLEDGE: They know the lesson’s goal. Learning Activity Two: COMPREHENSION: They understand how to correctly fill in the blanks. Learning Objective Three: APPLICATION: They correctly filled in the blanks. 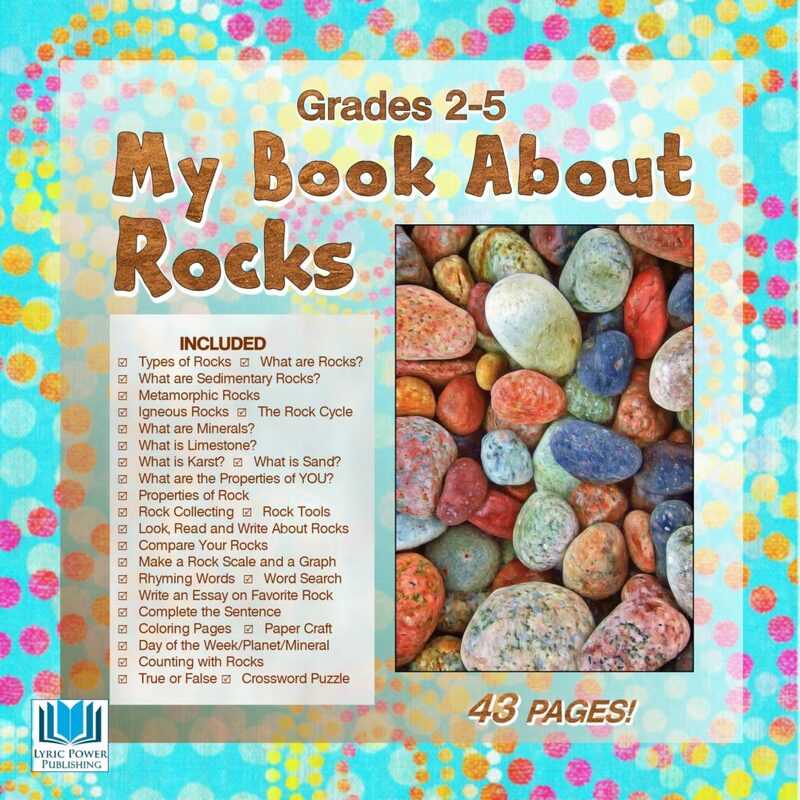 There are several project sheets in this workbook “My Book About Rocks” designed specifically to take your students outdoors to conduct field work on rocks. Helping your children apply what they have learned to real life is called Conducting an Authentic Assessment. You are helping them make connections between classroom experience and real life, as well as keeping them in the higher learning levels of analysis, synthesis, and evaluation. Marilyn Buehrer was a public-school English teacher in Washington, California, and Arizona, a national motivational speaker and educator to home-schoolers for nearly a decade, as well as a workshop speaker at home school conventions nationwide and at public middle school consortia in Arizona. She is the developer of Lyric Power Publishing’s comprehensive Workbooks and Activity Sheets.